In just 8 days, doorbells around the continent will be ringing with tiny trick-or-treaters out celebrating Halloween. This will be our little goblin's second Halloween, and while we only visit a few neighbours homes, we do love to give out treats to everyone who comes to our door. This is also the first year we'll be bringing treats to daycare and we want to make sure our friends get something that's fun, but not too sweet. I guess we're not the only ones who are thinking about saving the sugar 'til the kids are a bit older. 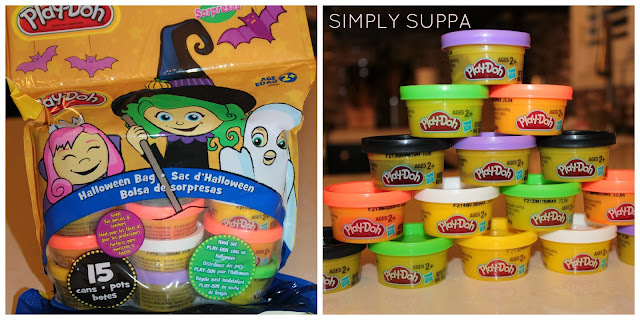 Hasbro's come up with some fun Halloween gifts that are treats, without the sweet. Who doesn't love Play-Doh? Truth be told, I haven't played with Play-Doh for years, decades maybe. But tried and true, when I opened up one of these mini cans, all my childhood memories came back. The Halloween Bag has 15 of these mini containers, with bright colours like neon orange and green, black and white, purple and yellow. What a great idea to give out to friends on Halloween! How about another treat without the sweet? Collectibles are always popular with kids (and adults too). 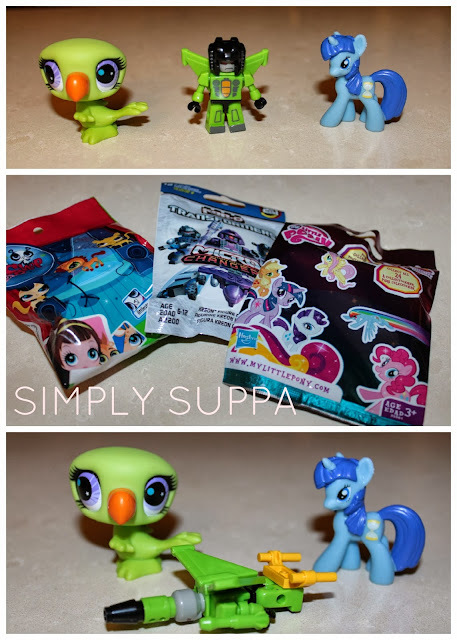 Blind Bags contain one miniature collectible each. Take your pic from My Little Pony, The Littlest Pet Shop and Transformers. These minis are really small and are better for older kids, but would be definitely well received on Halloween or even a loot bag! Who knew Hasbro made Halloween costumes? Well, they don't really, but they do make AMAZING role play gear. 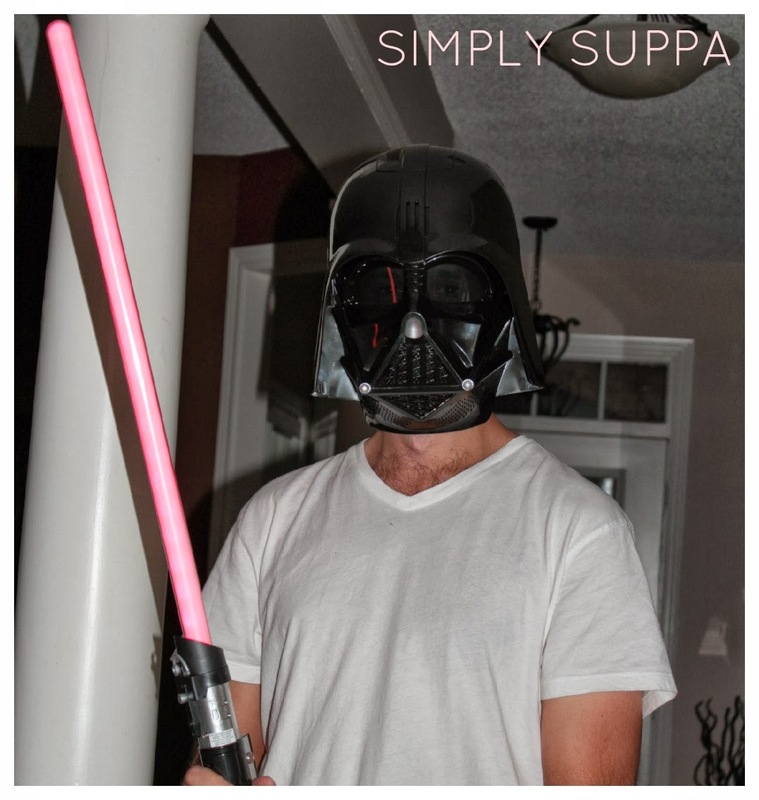 Check out my husband in the Darth Vader Voice Changer Helmet with Colour Change Lightsaber Toy! This helmet is so realistic and actually lets you speak in the Darth Vader voice!! It's scary enough to terrify my dog. Super cool. This get up would be great all year long, and had hubby ecstatically yell out, "We never had toys like this when I was a kid!" Who said Halloween was just for kids anyway? This is so nice, thanks!! We have not gotten it yet but chocolate bars. I wait until last minute or I eat them all! Chocolate bars are the usual.